OSHAWA, Ont. — Declan Chisholm scored the game-winning goal and added an assist, while Hunter Jones turned away 45 shots as the Peterborough Petes pulled out a 2-1 win over the Oshawa Generals in Ontario Hockey League action Friday night. Chisholm's marker came for the Petes (7-2-0) at 16:18 of the second period. Brady Hinz also scored for the Petes, who won their third straight and sit tied atop the OHL standings with the Ottawa 67's. Allan McShane answered for the Generals (3-4-0). Kyle Keyser made 23 saves for Oshawa. The Generals were scoreless on four power-play opportunities. The Petes went 1 for 4 with the man advantage. KINGSTON, Ont. — Jason Robertson scored a hat trick and added two assists as Kingston defeated Erie in a game that was marred by injury. Brett Neumann added two goals, while Jacob Paquette and Dawson Baker also found the back of the net for the Frontenacs (3-6-0). Chad Yetman scored twice, and Kyle Maksimovich and Maxim Golod added singles for the Otters (1-5-1). Ryan Dugas turned aside 27 shots for Kingston. Daniel Murphy combined with Noah Battaglia for 22 saves for Erie. The Frontenacs' Cameron Hough was given a match penalty for checking from behind on Otter defencemen Brendan Kischnick at 14:31 of the second period. Kischnick stayed down after the hit before being stretchered off. The Otters said Kischnick was conscious, aware and has feeling in his extremities. He was taken to hospital for further evaluation. SAULT STE. MARIE, Ont. — Barrett Hayton had a goal and an assist and Matthew Villalta made 27 saves as Sault Ste. Marie topped Kitchener. Mac Hollowell, Cole MacKay and Keeghan Howdeshell also scored for the Greyhounds (5-3-1). Morgan Frost added three assists. Rickard Hugg replied for the Rangers (4-1-2). Luke Richardson kicked out 26 shots for Kitchener. SUDBURY, Ont. — Lucas Chiodo scored a shorthanded goal and added an assist as Barrie downed Sudbury. Justin Murray, Ben Hawerchuk and Matej Pekar also scored for the Colts (4-4-1). David Levin scored for the Wolves (6-3-0). Jet Greaves kicked out 28 shots for Barrie. Jake McGrath combined with Ukko-Pekka Luukkonen for 32 saves for Sudbury. OTTAWA — Marco Rossi scored twice and added an assist as Ottawa beat Windsor. Rossi's power-play goal at 14:04 of the second period stood as the game-winner for the 67's (7-3-0). Sasha Chmelevski and Tye Felhaber added singles for the 67's. Kyle McDonald scored the lone goal for the Spitfires (3-4-0). Cedrick Andree turned away 22 shots for Ottawa. Michael DiPietro kicked out 27 shots for Windsor. GUELPH, Ont. — Domenico Commisso had three assists and Anthony Popovich made 35 saves as Guelph overcame Owen Sound. Alexey Toropchenko scored the game-winning goal for the Storm at 7:05 of the third period. Mark Woolley, Liam Hawel, Tag Bertuzzi, Ryan Merkley and Isaac Ratcliffe also scored for the Storm (5-1-1). Daylon Groulx scored twice and Jackson Doherty added a single for the Attack (3-5-0). Mack Guzda kicked out 22 shots for Owen Sound. FLINT, Ont. — Justin Brazeau scored twice and added two assists as North Bay thwarted winless Flint. Adam McMaster chipped in the game-winning power-play goal for the Battalion (3-5-0) at 12:02 of the third period. He scored twice in the contest. Brad Chenier also scored for the Battalion. Ty Dellandrea, Hunter Holmes and Eric Uba replied for the Firebirds (0-8-0). Christian Propp turned away 35 shots for North Bay. Emanuel Vella made 20 save for Flint. MISSISSAUGA, Ont. — Michael Little scored the game-winning goal with less than two minutes remaining in the third period and Mississauga escaped with a win over Hamilton. Thomas Harley, Keean Washkurak and Nicholas Canade also scored for the Steelheads (5-1-1). MacKenzie Entwistle, Jake Gravelle and Liam Van Loon answered for the Bulldogs (4-3-1). Jacob Ingham turned away 32 shots for Mississauga. Nick Donofrio made 31 saves for Hamilton. LONDON, Ont. 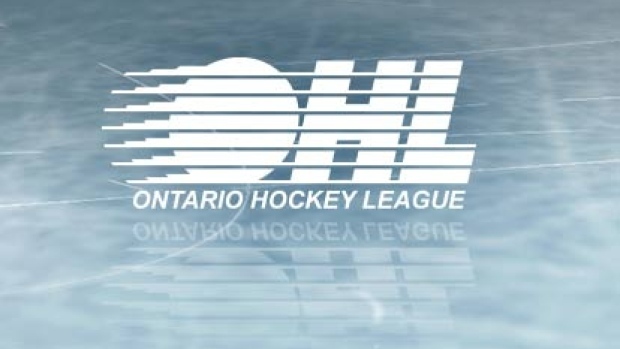 — Liam Foudy scored in overtime and Joseph Raaymakers kicked out 31 shots as London survived with a wild win over Sarnia. Connor McMichael scored twice, while William Lochead, Antonio Stranges, Cole Tymkin and Josh Nelson had singles the Knights (4-2-0). Calvin Martin, Jacob Perreault, Franco Sproviero, Anthony Salinitri, Mitch Eliot and Hugo Leufvenius responded for the Sting (3-3-1). Aidan Hughes turned aside 33 shots for Sarnia. Alec Regula received a game misconduct for instigating a fight at 19:21 of the third period.